Fruits are highly perishable commodities. With globalization, fruits now travel over long distances taking several days or weeks before they are consumed. This increases the risk of spoilage with the result that postharvest losses become enormous. Conventional packaging and distribution of fruits takes time, warranting the use of innovative packaging materials examples of which are biodegradable coatings/waxes. These packaging materials- known collectively as edible coatings- are edible and can provide excellent barriers against oxygen although some have the problem of hydrophilicity. An edible coating is any edible material usually of 3mm thickness used in enrobing a food product to extend its shelf life and can be eaten alongside the food product. Edible coatings are either made from protein, polysaccharides, lipids or a combination of these. They serve the same purpose as the modified atmosphere packaging. Coatings or waxes on fresh fruits hinder gas exchange between the food and the surrounding environment and thus, can act as a medium for preservation. Its use in the food industry has diversified from the use of plain edible coats and waxes to the incorporation of functional ingredients (texture enhancers, nutraceuticals and antimicrobials) to the coating. This incorporation will not only extend storage life but will also improve the nutrient value and keeping quality of the coated food. In spite of the huge benefits, Nigeria has no record of successful utilization of the technology of edible coating for fruits. 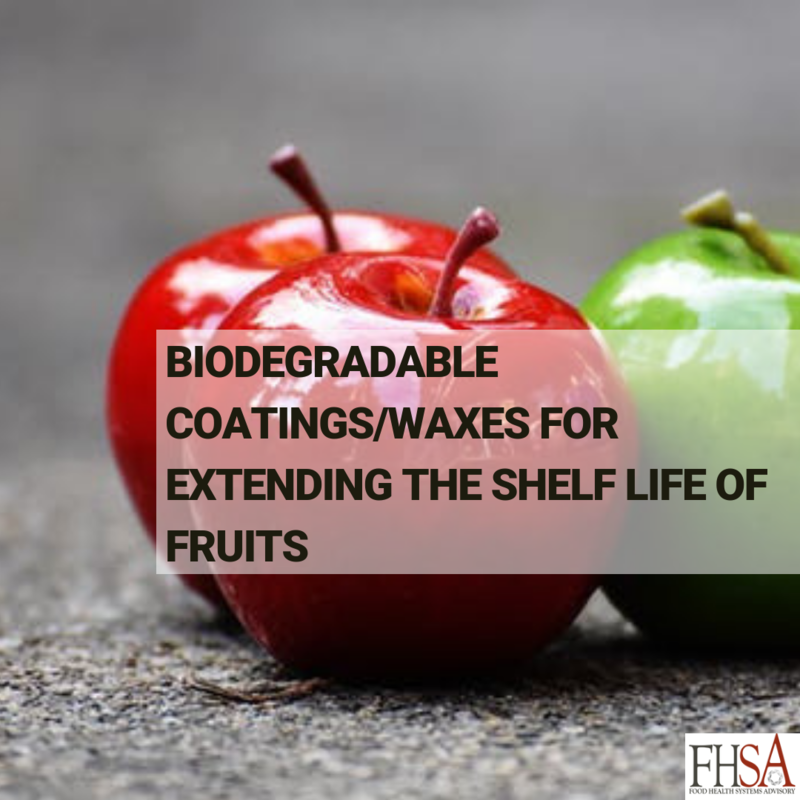 Thus, this article- presented in eight subthemes- seeks to inform consumers and food businesses of the use of biodegradable coatings/waxes to extend the shelf life of fruits with focus on ways to enhance the profitability of this innovative packaging.